HEALER went into pre-production in December 2006 and production began with rehearsals on February 19, 2007. 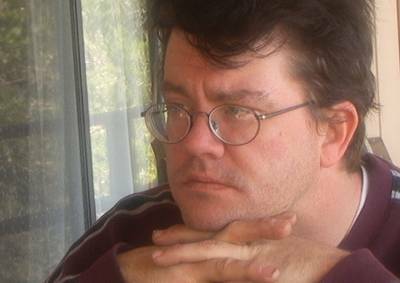 The script was written by by Rodger Marion, Morgan Marion and Jason Marion. 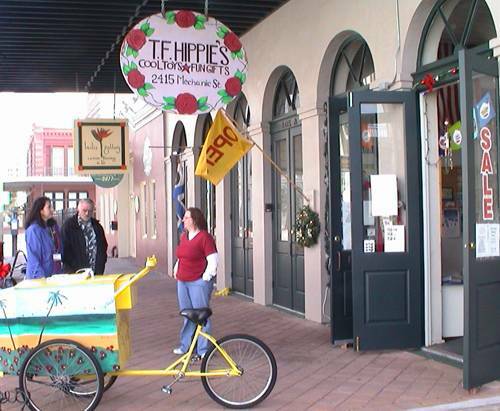 John Bostock and Susannah Holmes are in front of T. F. Hippies on Galveston's Strand. This store will be used for Healer's place of work. 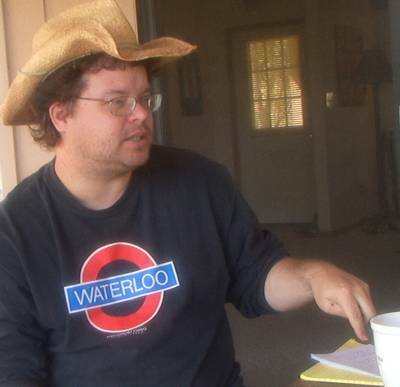 Morgan Marion, co-author, expounds on the script. 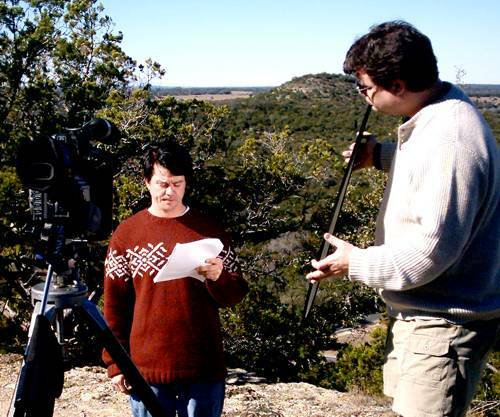 Rodger and Jason setting up for a test shot on top of Old Baldy in Wimberley. 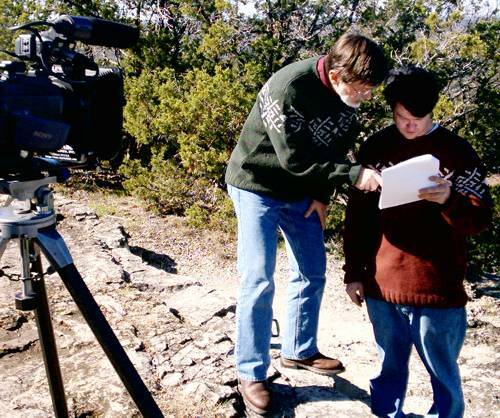 Jason and Morgan during the test shoot on Old Baldy. Morgan and Rodger walk/talk through how the private gets shot in the first scene of Healer. Note sticks for rifles. Infantry, to help us stage the first scene. Above is a photo of the group.